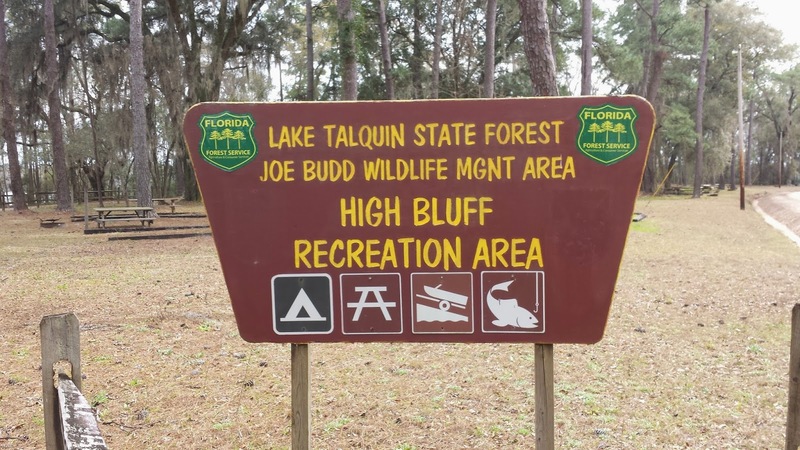 About 30 miles west of Tallahassee, FL lies the 11,000 acre Joe Budd Wildlife Management area which abuts the north shore of Lake Talquin. 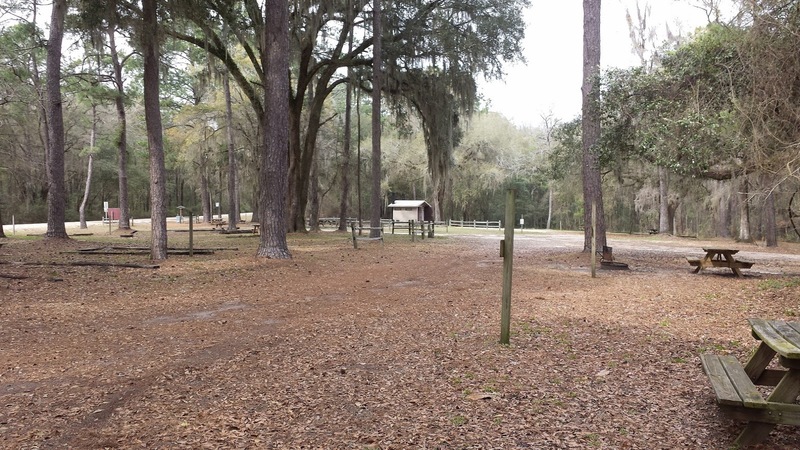 The Free Campsite web page identified a non-free but moderately priced camping area within Joe Budd called High Bluff Recreation Area which was along my route towards Tampa so I drove to it intending to do two nights camping. Kind of a long name! 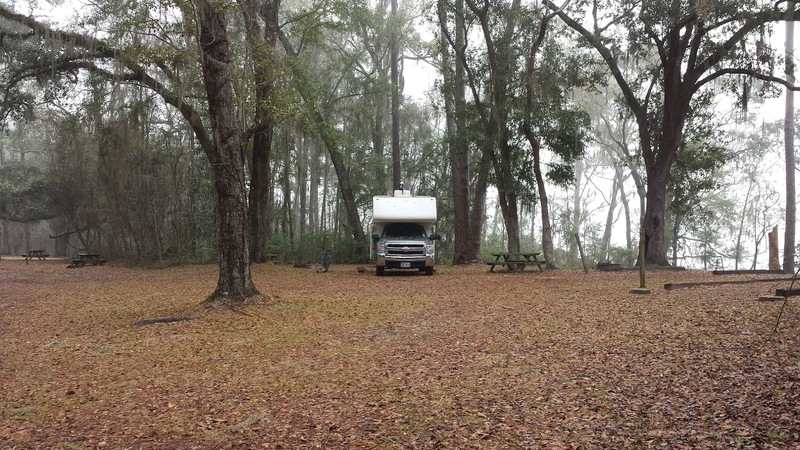 Campground fees are honor-system based in that you put cash in a provided envelope for your stay into a steel "mailbox" that is collected intermittently by the Florida Forestry Service rangers. I put a $20 in my envelope (it costs $10 / night) but while I was there I never saw anyone come by and check the box for cash. Speaking of not seeing anyone....I had the whole 40 space recreation area completely to myself! I got the one spot that recieved good sun for the Tank's solar panels. The recreation area has a really nice public fishing pier that allows fishing (mostly crappies) for those who don't have access to a boat. The locals come down and fish this pier every day. 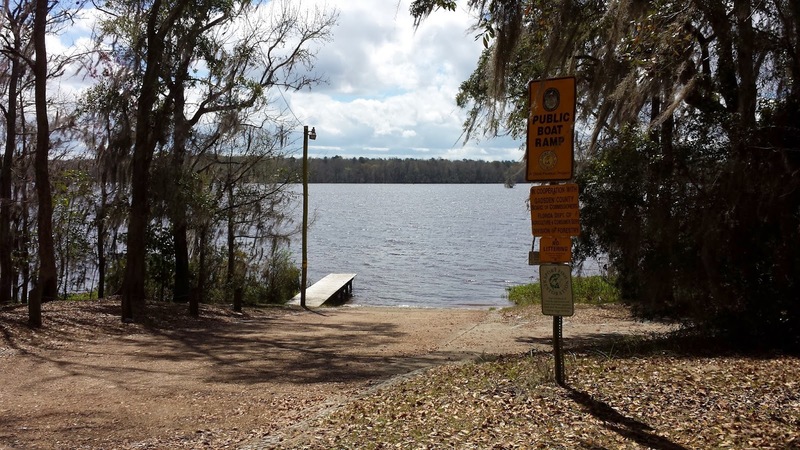 On the opposite end of the recreation area is a public boat ramp which saw quite of bit of use during my stay. 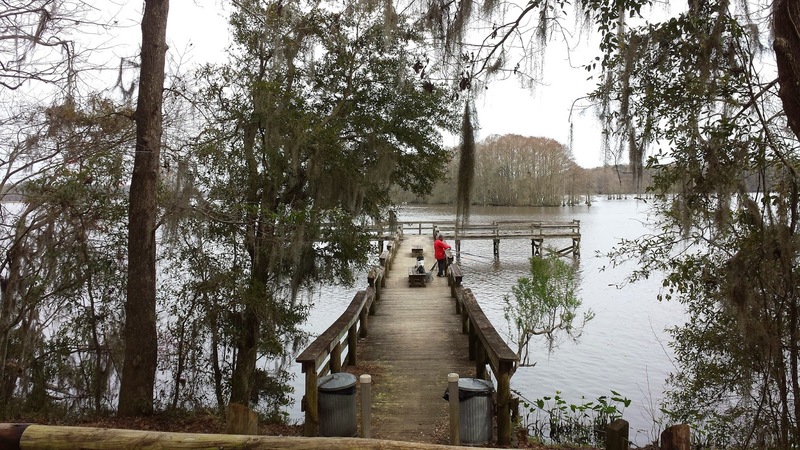 Boat ramp access to the 10,000 acre Lake Talquin. 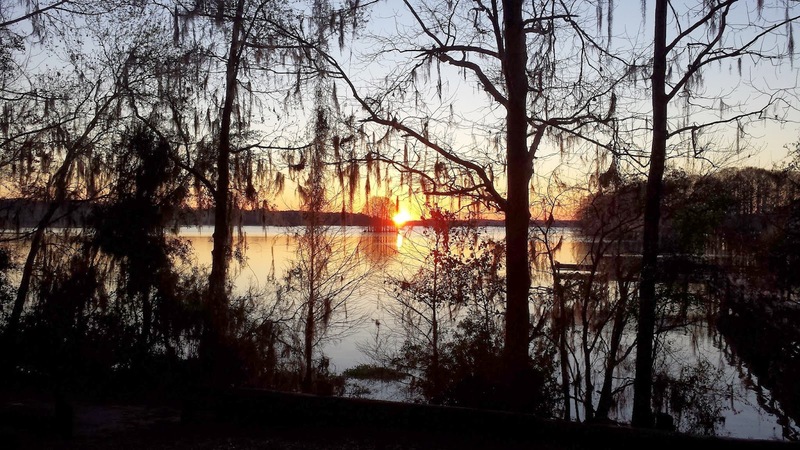 The sunrises over Lake Talquin were pretty spectacular. It was so great camping at High Bluff I extended my stay to 4 nights, all without another camper or RV coming into the area! I have to confess I almost didn't review it because I wanted to keep this "secret" to myself. While it IS boondocking with no hookups or access to drinking water (bring in what you'll require) my stay there was just awesome and I can't recommend High Bluffs highly enough!